Americans are changing what they eat, when they eat, and how they shop for and consume food, and the food industry is taking note. New generations of consumers are more interested in casual dining, efficient diets with quality ingredients, and a simplistic approach to meal preparation and eating outside the home. 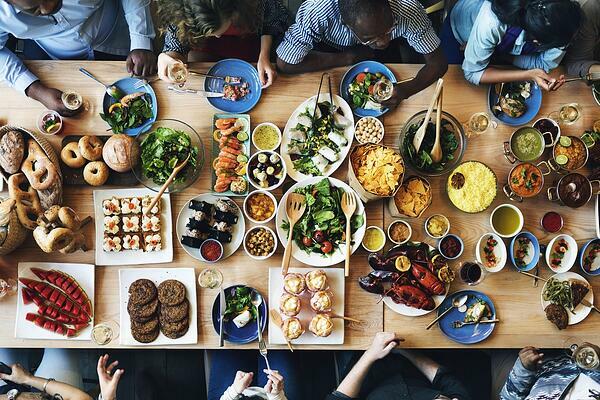 Citing millennials as the driving factor, JLL identified the following food trends in a recent report commissioned by ICSC called The Successful Integration of Food & Beverage within Real Estate. Refers to the popularity of street food, upscale fast-casual and more diverse casual dining. Since millennials and next-gen consumers are less interested in making a reservation at an upscale restaurant and more inclined to meet up with friends at an open-air market in town, the popularity of street food and fast-casual dining is growing. Fast-casual dining experiences like Veggie Grill and Native Foods Cafe are luring customers to their fun atmospheres and uniquely crafted plant-based foods. Refers to the restaurant trend using more traditional cooking methods, ingredients, preparation styles, and techniques to capture regional and national culinary roots. “Consumers desire food that tastes good, is healthy, supports local farmers and artisans, is created by a chef (who is usually local), and is in a unique setting with a high level of service,” explains JLL executive Justin Greider. Refers to a return to simple, great ingredients, cooked and prepared well, but without the complications, equipment, and labor overhead brought about by modernization of the foodservice market. With a focus on quality ingredients and remarkable experiences, the food industry can appeal to today’s consumer with exciting, yet easily prepared meals. Refers to chefs and restaurants using less expensive cuts of meat that are cooked longer at lower temperatures to ultimately reduce overheads. Restaurants like Mission BBQ offering slow-roasted meats are experiencing success by responding to this trend. Refers to the art of making the less desirable more appealing. Today’s consumers are more environmentally conscious than previous generations. Restaurants that minimize waste by recycling or repurposing, for example, may be more likely to win over millennials and Gen Xers. Colliers International writes of LYFE Kitchen leading the trend in 2014 to address health and sustainability by offering menu items that benefit consumers and the planet. Refers to the consumer awareness trend that they “are what they eat,” desiring super-food rich meals and snacks. Colliers uses the term fresh casual to describe part of this evolution of eating habits, in which super foods like quinoa-and-bean salads and higher quality proteins have created burger wars among industry leaders like Five Guys and Smashburger.